Playtex is launching a new Cotton Liberty collection composed of basic tops. 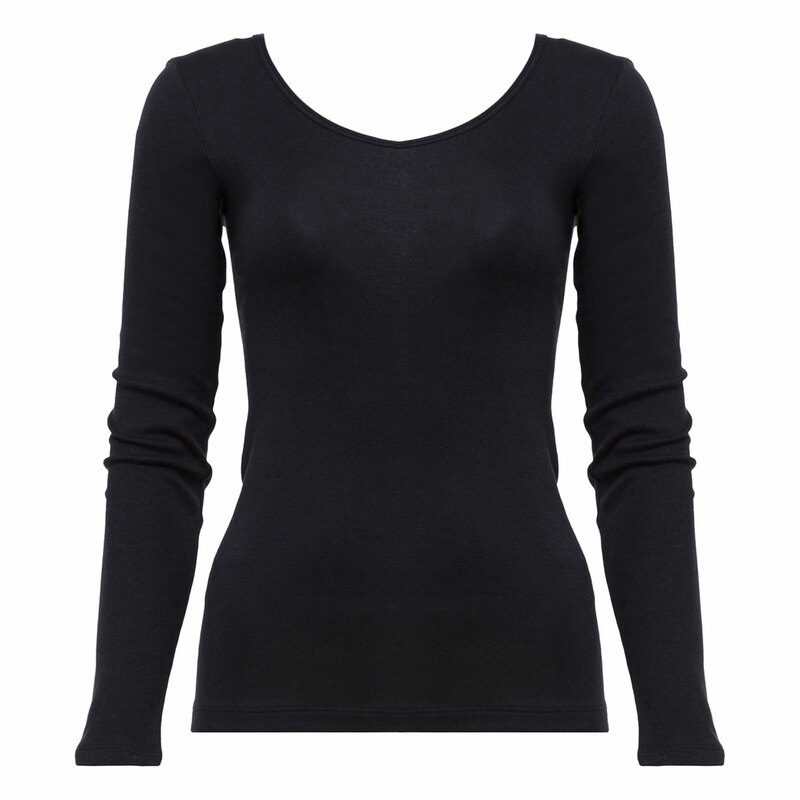 Treat yourself to the must-have black long-sleeved t-shirt. This timeless piece is specially designed for women looking for freedom of movement. It's really comfortable thanks to Its soft, 100% cotton fabric. The flat seams make this T-shirt virtually invisible under clothing. Its classic cut with wrist-length sleeves, long, full-cover back and round neck will delight you. In short, it's already a must-have basic! The long-sleeved black top from the new Cotton Liberty range offers you total comfort thanks to its delicate fabric. Try it now! You'll just love it! This feminine T-shirt goes beautifully with the black Midi brief from the Cotton or Cotton & Lace collections. You can also go for a more original look by wearing the top with a white Mini bref, for example.